Jakarta, 1962. Three days after a gritty 3-2 win over South Vietnam in the semi-final of the Asian Games, the Indian football team gets ready to take on a strong South Korean team in the gold medal match. Only a little over a week earlier, India had started its campaign with a 2-0 loss to the Koreans in the league phase. This time, the stakes are much higher. Unfortunately for India, the injury count ahead of the final doesn't look encouraging. Jarnail Singh, a defender who is asked to deputise as a striker in the game, has a deep gash on his forehead. Trilok Singh, another defender, has a toe injury. The biggest concern, however, is goalkeeper Peter Thangaraj, who is down with the flu. All of them ignore their maladies and feature in the line-up for the match. The Indian team makes a blistering start and score two goals within the first 20 minutes, courtesy of P K Banerjee and Jarnail Singh. The Koreans are stunned, and by the time they unlock the Indian defence, it is already too late. The game finishes 2-1 to India in 90 minutes. Jarnail Singh is covered in blood as his wound opens up late into the game, but everything is forgotten once the final whistle blows. Wild celebrations ensue in the Indian camp. Amidst the jubilant celebrations, the Indian head coach calmly steps into the pitch to congratulate his players. For well over a decade, he has been the brain behind the Indian national team. Having groomed some of the best players in Indian football's history, he is the man responsible for turning India into one of the best teams of the continent. The 1962 Asian Games triumph comes at a time of deteriorating health for the Indian coach. Syed Abdul Rahim, or Rahim Saab, as he is lovingly called, has been battling lung cancer for months. Having ignored concerns over his health, he had taken his team to Jakarta a couple of weeks earlier, determined to lead the country to the title it had won 11 years earlier. Two months later, his severely deteriorating health forces him to quit his coaching role. In June 1963, he finally loses his battle to cancer, leaving in his wake a broken footballing nation. Now almost invisible on India's footballing map, Hyderabad was once a powerhouse of Indian football. Born in the city in 1909, this was where Syed Abdul Rahim learned his trade. He was a prominent figure in the Hyderabad footballing circuit during his playing days, having started his playing career with the Osmania University football team. Initially a teacher, he started his coaching career during his mid-thirties. The true genius of Syed Abdul Rahim came to the fore when he took over the Hyderabad City Police team in the mid-1940s. Rahim completely transformed the team that went on to dominate the local and national football scene for a long period of time. Moreover, managing the Hyderabad Football Association as its secretary, he played a major role in improving the production line of footballers, through more focus at the grassroots. His success as a coach with the Hyderabad City Police team, which emerged as one of the best teams in the country, did not go unnoticed. 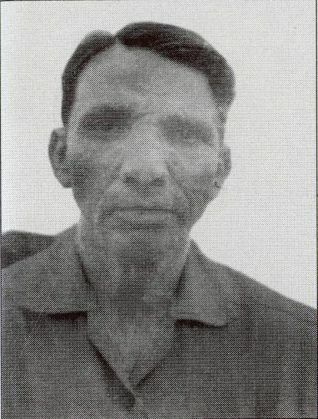 In 1950, Rahim was appointed the head coach of the Indian team. His impact was immediate: at the inaugural Asian Games held in Delhi in 1951, he led the team to the gold medal, with Prime Minister Jawaharlal Nehru among the spectators for India's final game against Iran. In its early years after Independence, the Indian team preferred playing barefoot. It had done relatively well against better equipped teams in the first few years, and boots were never considered a necessity. Playing barefoot at the Helsinki Olympics in 1952, however, turned out to be a major blunder for India. In cold conditions, a mighty Yugoslav side decimated India by a score of 10-1. It was the last time the Indian team stepped out for a match without boots. Over the years, it had been rumoured that the debacle in Helsinki was partly because of administrative interference from a high-ranking AIFF official, who prevented Rahim from picking and playing the team of his choice. Whatever the reasons, Syed Abdul Rahim emerged as a better coach following the humiliation in 1952. After winning a handful of international tournaments in the next few years, the Indian team stunned Australia in the quarters of the 1956 Melbourne Olympics, before finishing fourth in the event. To this day, the miracle in Melbourne stands out as one of the biggest achievements of India in the sport. Four years later in Rome, the Indian team once again impressed at the Olympics. It lost narrowly by a score of 2-1 to Hungary, one of the finest footballing nations at that point of time, before drawing 1-1 with France and losing 1-3 to Peru. Before the start of the 1962 Asian Games, the Indian chef de mission criticised Indonesia for barring Israel and Taiwan from taking part in the event for political reasons. This did not sit well with the locals. When the Indian football team made its way to the stadium before a game, the team bus was stoned. A 100,000-strong crowd booed and jeered the Indian team throughout all its games. To add to India's woes, it was in the middle of an injury crisis. Amidst these circumstances, Syed Abdul Rahim gathered his team together before and after every match, as well as during the half-time breather, and together with them, sang the national anthem in the dressing room. As the team suffered from fatigue and injuries towards the later part of the Games, Rahim improvised. He threw in defender Jarnail Singh in a forward position in the semi-final against South Vietnam, and was immediately rewarded with a goal. He didn't change Jarnail's position in the final, and the latter didn't disappoint: his goal proved crucial in India's 2-1 victory. 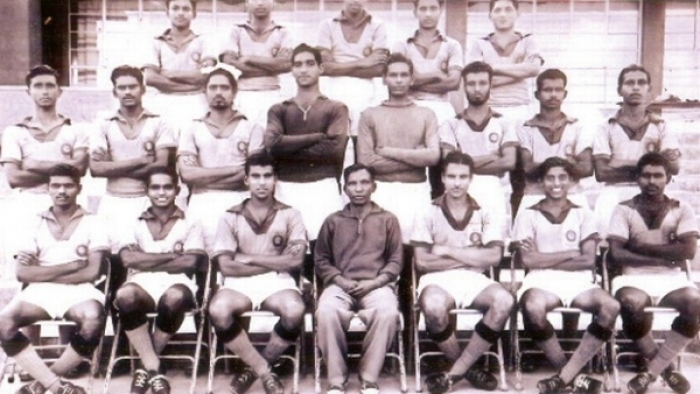 The 1962 Asian Games proved to be the pinnacle of Rahim Saab's coaching career. Being forced to quit the game two months later due to his declining health, this was his parting gift to Indian football. Fortunato Franco, who was an important part of the Indian team at the 1962 Asiad, had this to say about his coach in an interview in 2010: "Rahim was like a father, mother, guide and mentor to me. He had the skill to understand the potential of a player and this probably came from his background as a professor." Syed Abdul Rahim was a brilliant man-manager. Responsible from grooming players like Chuni Goswami, P K Banerjee, Tulsidas Balaram, Peter Thangaraj, and others, he was extremely popular among his players. His greatest contribution to football, however, was his outstanding tactical innovation. He was the first to introduce the 4-2-4 formation to the Indian game, taking a leaf out of the great Hungarian team from the early 1950s. In the '50s, he tried a three-man backline with the Indian team, long before the defensive formation was adapted globally. His tactical innovations were even replicated abroad. In 1964, when Indian coach Alberto Fernando travelled to Brazil to attend a workshop, he famously remarked, "What I learnt from Rahim in 1956 is being taught now in Brazil. Verily, he was a football prophet." There is no doubt that Rahim Saab was a man much ahead of his time. After his death in 1963, the Indian team never managed to scale the heights it reached under him. Football in Hyderabad suffered following Rahim's untimely death. A city that used to produce some of the country's finest footballers vanished from the national scene in just a few years' time. Over the decades, Syed Abdul Rahim has become a forgotten figure in Indian football. Neither the Indian government nor the All India Football Federation (AIFF) has found it fit to recognise his achievements over the years. Responsible for putting India on the world football map, Rahim's name has been relegated to the pages of history in recent times. "The AIFF has treated Rahim like an untouchable," his son Syed Shahid Hakim remarked in an interview in 2009. An avid fan of the beautiful game since his childhood, Bhargab has been writing about football in India for the last three years. He supports I-League club Shillong Lajong, as well as English giants Manchester United. 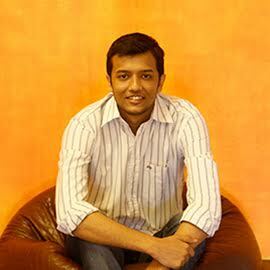 Having recently graduated with a degree in commerce, he now writes about football and other sports at Catch.